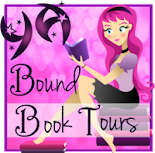 T4T: The Pretty Dark Nothing Series by Heather L. Reid! 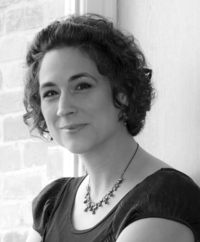 Today, we are joined by author Sheila A. Nielson, author of Shadow in the Sea, a YA Fantasy. Check it out! and the strange marks on her wrist make superstitious locals suspect she is a mermaid. Feigning amnesia, Sade hides a far worse secret: she was sailing to her own murder trial when she was thrown overboard by the real killer, the cunning and cruel Captain Westwood. 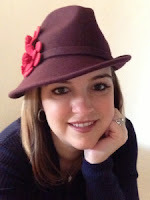 Welcome to We Do Write, Sheila! Your newest book, Shadow in the Sea is a follow-up to the mermaid novel, Forbidden Sea, published by Scholastic Press. Do you have to read Forbidden Sea first in order to enjoy Shadow in the Sea? I almost drowned when I was young. I was swimming in a lake all alone. (A really stupid thing to do!) I felt something swim into my legs under the water—either a good sized fish or a water snake—I‘m not sure which. I panicked, started thrashing around, and quickly went under. I remember looking down through the water and realizing that I couldn’t see the bottom because it was so dark and deep. Luckily, I was able to calm down enough to stop flailing and float back up to the surface before it was too late. I’ve had a phobia of fish and deep water ever since. 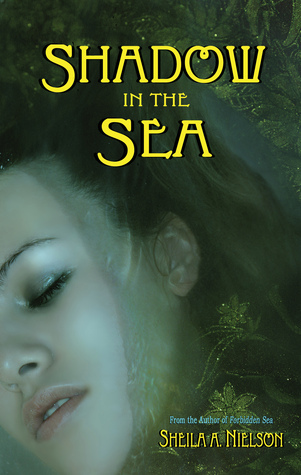 This made writing about merfolk who live fathoms beneath the surface of the ocean an interesting experience. There were times I had to take a break from writing because I would start to feel like I couldn’t breathe. Today Miranda talks about some books she thinks need more love! 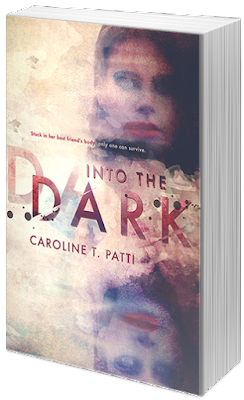 We Do Write is pleased to welcome Caroline Patti, author of YA novel Into The Dark. Caroline is here to share five things she wished she new about publishing before she was published. But first, a little about the book! the night of hers, Mercy Clare wakes in the waiting room of a hospital with no memory of how she got there. To make matters worse, she’s wearing something she’d never be caught dead in: her best friend Lyla’s clothes. 1. There is a vast difference between being able to tell a story and crafting a novel. 2. Just like your childhood, it’s not fair. 3. You will someday have an argument about a comma. 4. It is a thin line between joy and panic. 5. No one really has success overnight. We are so excited to have Charles Curtis here with us today discussing five things he wished he knew before he was published! 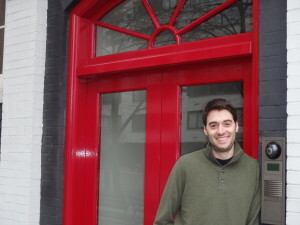 Charles is the author of the Middle Grade Paranormal novel, Strange Country Day. But first, a tidbit about the book! 1) Releasing your book to the public is like sending your kid to kindergarten the first time. I wrote a little bit about this on Father’s Day. Book Con was my first-ever signing and the first time I got to physically hold my book, the result of years of work and multiple rounds of editing. And when I sold a few copies, I felt a ball of icy nervousness in my stomach. I thought, “I’m sending my ‘child’ into the world.” I never thought about that until the moment the doors opened up at Book Con. 2) I’m not just an author. 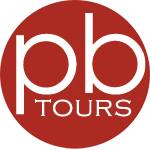 I’m now a marketing manager and a member of the sales force. Another thing that hit me at Book Con: Authors are no longer just the writers of their works. The pressure is on me to get the word out to the public through things like Twitter (@charlescurtis82, come say hi!) and to convince readers why they should sift through the thousands of titles available and pick mine. I have an awesome team behind me doing just that, but I have to be more active than I originally expected. Here’s my elevator pitch I’ve been honing: X-Men meets football when a couple of seventh graders suddenly find out they’ve got special powers they use on the field. Why do they have abilities? And who’s chasing them to answer that question? 3) Writing the second novel in a series is much harder than producing the first. I’m experiencing this literally as you read it. 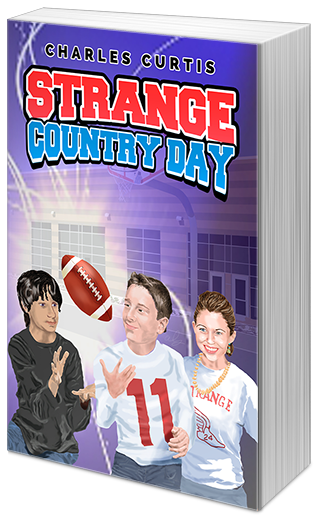 I wrote the first “Strange Country Day” on spec over quite a few years with no deadline, no expectations and no pressure. All of that, of course, has changed. Added to that are the expectations of your readers and the complexity of a story filled with twists, increased drama and new characters. 4) The “young adult” books I used to read are no longer what’s known as “young adult.” YA is now for an older crowd. In its place is “middle grade.” I’m more familiar with the 21st century definition of YA (I’m a big fan of series like “The Fifth Wave”) and the more adult themes that come along with it, so I had to find the right voice and vocabulary for a younger audience, all while making sure I didn’t cross certain lines when it came to violence and the romantic lives of my characters. The other challenge? Not talking down to my audience at the same time. It’s a tricky balance. 5) You’re writing and marketing as much for parents, teachers and librarians are you are for kids. I hear what you’re thinking: “Hi there, Captain Obvious!” But when you write a middle grade novel, you think about what the kids want to read. However, who buys books and vets them to make sure their kids will enjoy them? The answer is now more obvious to me and helped focus on my target audience going forward. I would love to see this book featured in a school book club – I can see students debating the morality of using special powers to win a football game in a sports world where performance enhancing drugs are a hot topic.